Medical Media Images is offering a new series of Chiropractic X-Ray and MRI images. These images are designed to demonstrate common Chiropractic Spine Conditions and their Treatments. Chiropractic Physicians can now visually demonstrate common reasons for back pain using Medical Media Images. 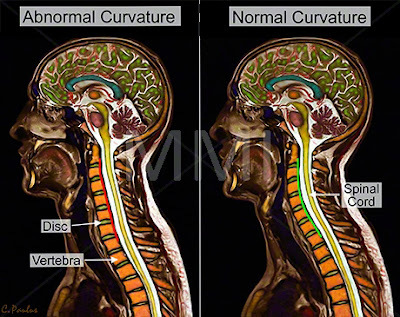 The image above shows Abnormal and Normal Neck curvatures. The image on the left shows a loss of the normal neck curvature, which is emphasized by the red line. The image on the right shows the normal C-Shaped curvature of the neck. The Spinal Cord, Spinal Disc and Vertebral Body (Vertebra) are annotated to provide additional educational value. 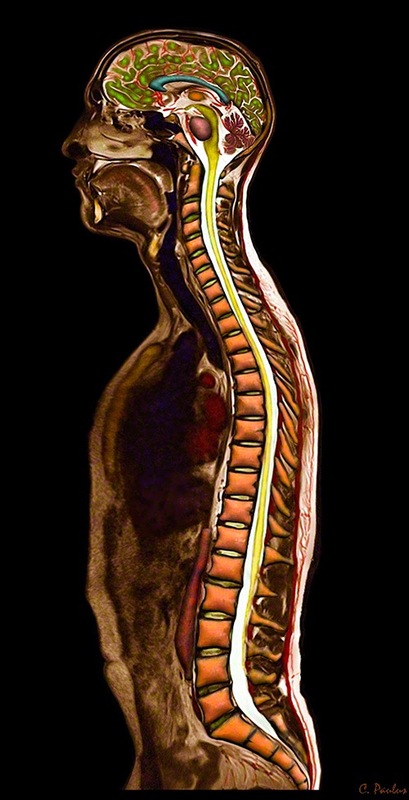 Images like this one give Chiropractic Physicians a new, unique tool to show patients and the public what conditions are treated and effects of the treatments. Images like this one are ideal for Chiropractic Websites and Office Educational Prints displayed in waiting rooms and patient rooms!